As you can see, they sent an incredibly generous package, with enough to share with friends and family while spreading the word. What I love about these programs is that instead of telling people why they should buy certain products, the companies that partner with Crowdtap actually give their target audience the product, or samples, so that they can make their own decision based on their personal experience. Much more effective than shoving advertisements and claims down your throat, in my humble and honest opinion. 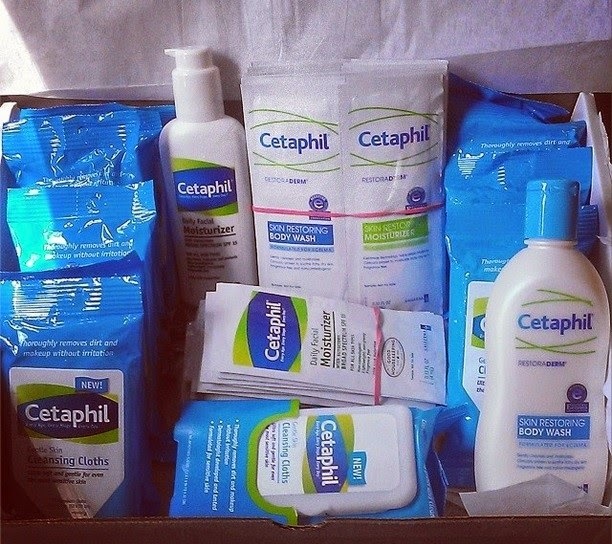 One of the full-size items that I received was the Cetaphil Gentle Skin Cleansing Cloths. Inside this package are 25 pre-moistened cloths to meet your facial cleansing and moisturizing needs. These are great for on-the-go, travel, or for me, those nights that you are feeling super lazy and don't want to turn on the faucet, wait for the water to get warm, lather up your face wash and scrub the day from your face. They are great at removing make-up, dirt and oil, thus purging your pores from those potential pore-clogging villains. I'm a huge fan of the pop-open top too; the ones that just have the sticker over the opening always dry out quickly once the sticker stops sticking. This item retails for $7.49 making it approximately $.30 per cloth - amazing deal if you ask me! The second full-sized product is the Cetaphil Daily Facial Moisturizer with sunscreen (Broad Spectrum SPF 15). This is a light-weight, creamy face lotion that goes on smooth and hydrates all day. I love that it has the SPF built-in so it goes on in the morning, and I don't have to think about it again. Additionally, even though there is the provided sunscreen, this moisturizer is non-greasy. I have acne-prone skin, so I can attest to it's gentle, non-irritating qualities. This moisturizer retails for $12.49 for a hefty 4 fl oz size. I use a very small amount (not even 1 full pump! ), so keep in mind that a little goes a long way! Last but not least, I received a full-sized bottle of the Cetaphil Restoraderm Skin Restoring Body Wash. This wash is specifically designed to address the needs of those individuals who suffer from eczema. I do not, however, I have a 2 year old daughter who does. She has dry patches of skin all over her abdomen. Luckily, this wash is safe to use on babies as young as 3 months old, which attests to it's gentle power! The wash is very creamy and easy to lather. It is non-irritating, and seems to have helped her dry patches. This wash uses Advanced Filaggrin technology™. Filaggrin is a protein that protects the outer layer of skin and is said to be missing, or non-functioning in those who suffer from eczema, making their skin more vulnerable to, well...everything! This wash retails for $13.99 and comes in a 10 oz size. If you have sensitive skin or are on the market for extremely gentle, but effective products, I would highly recommend the Cetaphil brand. 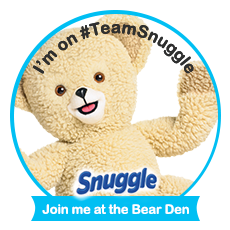 Be sure to "like" them on Facebook to be in-the-know about new products and promotions (they have a $1 off coupon on there now!). Disclosure: I received the products mentioned in this post for free in exchange for an honest review. The opinions stated here are my own.